The Sagittarius Pure Exposed Thermostatic Shower Valve - Chrome PU/168/C is part of the popular Pure range of high quality Mixer Showers and Shower Valves from Sagittarius. The Pure range has modern linear designs and authentic rounded designs - providing something to suit every taste. 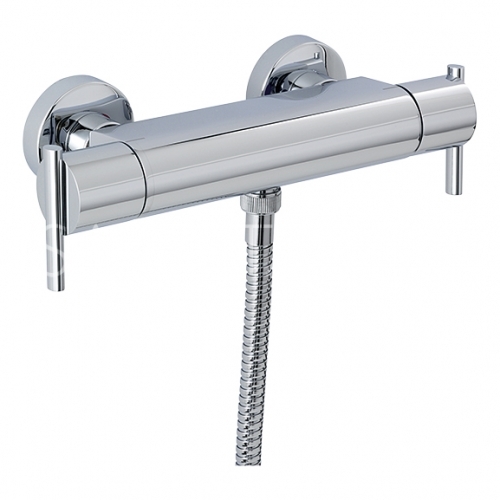 The Sagittarius Pure Exposed Thermostatic Shower Valve - Chrome PU/168/C is backed up by 10 years guarantee againast manufacturing defects and chrome plating. There are 13 item(s) related to this product.